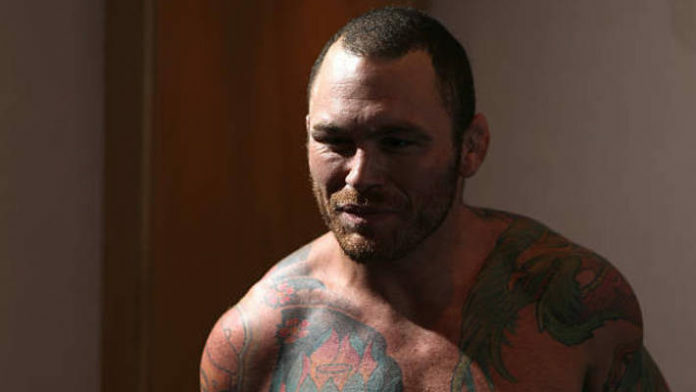 Former UFC star Chris Leben files a lawsuit against the disgraced World Bare Knuckle Fighting Federation (WBKFF) promotion. The World Bare Knuckle Fighting Federation (WBKFF) screwed over a lot of fighters after its inaugural event. The show went down on November 10th and featured the likes of former UFC stars Chris Leben, Johny Hendricks, Phil Baroni, and more. Initially, former NFL star Shawne Merriman was in agreement to fight on the card. However, after contractual issues with the promotion, Merriman luckily pulled out of the venture. As for Hendricks, he suffered a first-round knockout loss to Dakota Cochrane, while Leben defeated Baroni with a knockout win of his own. A ton of controversy has now surrounded the promotion. Several of the fighters who competed on the card were not paid. According to a report from Forbes, Leben, who has now signed with the Bare-Knuckle Fighting Championship (BKFC), is suing WBKFF for $90,000. The lawsuit was filed in the San Diego Superior Court on Monday. Leben claims the promotion hasn’t paid $90,000 of his $100,000 fight purse. All he has received is his $10,000 down payment before the fight took place. WBKFF owner Tomasz Stankiewicz has since been sentenced to a year in prison for wire fraud in Illinois. He pleaded guilty to an Illinois court in 2018. As of this writing, Leben is the only fighter known to have sued WBKFF. What do you think about Leben’s lawsuit against the WBKFF?